Few areas of technology underwent greater advances in 2005 than middleware. And 2006 looks as if it’ll be no different. Between new architectures, maturing standards, and innovative technologies, the dream of integration within and without the enterprise is becoming a reality. Even better, it does not require the rip-and-replace approach of the past. Key to this transition is the fact that Web services are maturing and becoming accepted. In years past, the lack of standards, the competing consortia, and the uncertainty about how best to integrate services into the enterprises were all troublesome issues that held back adoption. In 2005, however, Web services began to settle down to hard work: Standards firmed up, and two critical technologies — ESB (enterprise service bus) and SOA — drove adoption of services. The coming of SOA was critical. At this time last year, we hailed its advent. This year, we acknowledge its deployments and the considerable interest it now elicits from the jaded bastions of the glass house. It’s one thing to hook two disparate servers in a point-to-point fashion using Web services; it’s a whole other thing to design enterprise integration with a standards-based bus that helps orchestrate sequences of services to perform complex business processes. That bus, the ESB, performs intelligent routing and the necessary transformations of data as the bits are on the fly. While relying on common piping such as JMS (Java Message Service) or MOM (message-oriented middleware), ESBs add value with their smarts and their use of nonproprietary technologies. 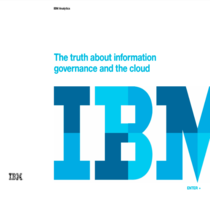 Our first comprehensive comparative review of ESBs appeared in July; we’ll continue to bring new ESBs under the microscope, including one from the last holdout: IBM. For years, Big Blue denied that ESBs offered anything that couldn’t be found in the company’s own messaging middleware. But market realities forced realization of ESB’s specific benefits, and we now have the entire middleware market, including IBM, moving to the ESB model. Web services and ESB will drive further into the enterprise in 2006, with coverage focusing far more on management of Web services than on development and deployment. Not so with Java, which is undergoing an identity crisis in server-side deployment, driven by the quest for a simpler computing model. Frameworks such as Spring are stripping J2EE down to a container and a handful of needed application services. EJB 3.0 and other initiatives from Sun and the Java community are further efforts in this direction. Java is already the language and platform of choice for Web services, a status enhanced with the unveiling at midyear of JBI (Java Business Integration), a framework that runs plug-in components and enables them to interact via WSDL-based messaging. In sum, application servers will themselves integrate Web services. And as a result, these servers and middleware will be permanently transformed. We expect 2006 to be the year of the tipping point in this process — the year in which the biggest issues will not be how, when, or where to implement Web services, but how to attain the scalability necessary for true enterprisewide deployments.